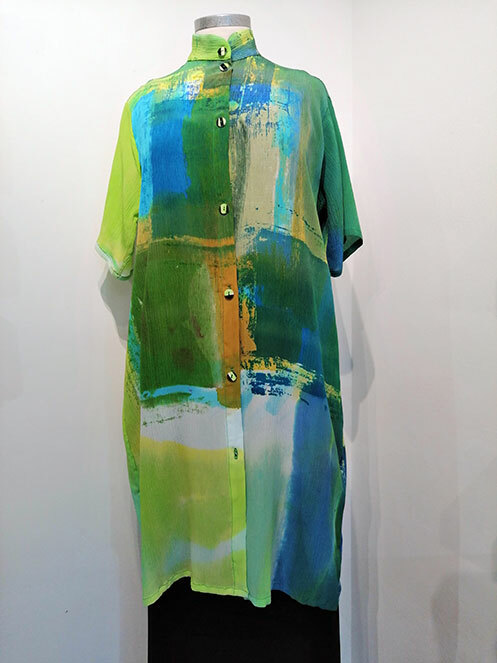 A simple shirt dress with a Nehru style collar and painted buttons throughout. It is made in a lovely silk crinkle whichh has lots of texture and character and adds a crispness to the overall effect whilst being an extremely soft fabric to wear . 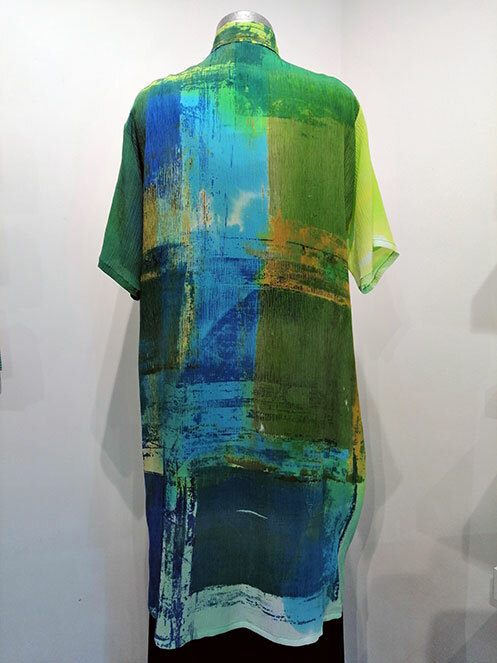 The colours of this one are lime, blue, pale yellow and cream – and I can make one for you in the colours of other pieces in the collection or in the commissioning gallery if you contact me. SKU: CW4.52. More: Silk, Silk Shirts.